Did you enjoy your weekend? We did. We went for a walk at Shotley Marina with Mr Hippy's children and watched the ships being loaded - the days are getting warmer and brighter which is really helping my fatigue. I come alive at this time of year! This does mean it's a quick post today! 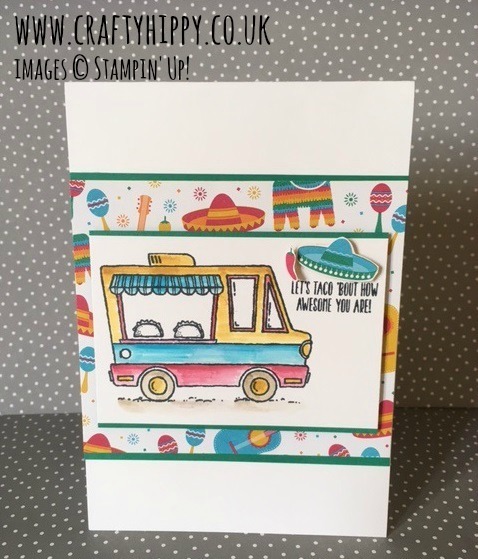 The stamp set used here is one of the free Sale-a-bration sets - Tasty Trucks. Have a look around this site for more information.